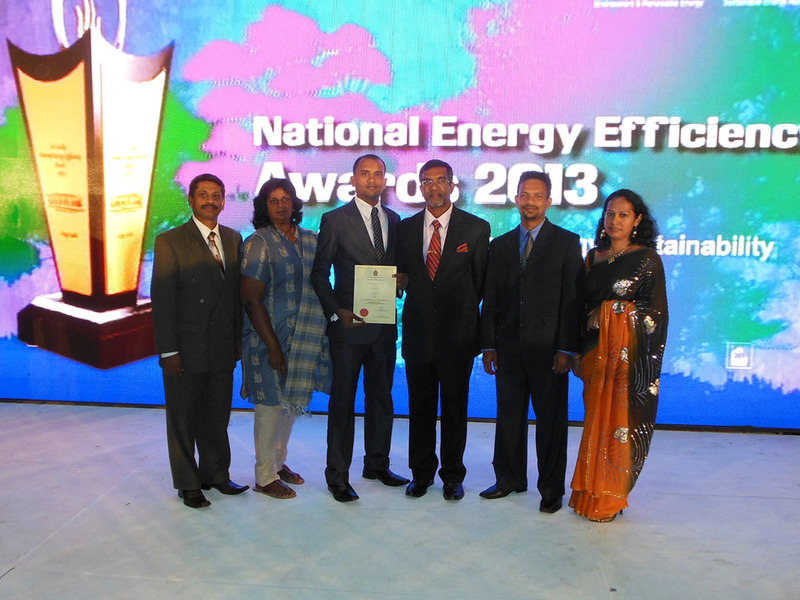 Heritance Ahungalla and Heritance Ayurveda Maha Gedara emerged victorious at the recently concluded Sri Lanka National Energy Efficiency Awards 2013, conducted by the Sri Lanka Sustainable Energy Authority for private and public sector institutions with the aim of recognizing their contribution towards an energy efficient Sri Lanka. Heritance Ahungalla was awarded the Silver flame award, one of the highest accolades awarded for the conscious commitment made to enhancing energy efficiency practices within the large scale hotel sector. Recognized as Sri Lanka’s first five star beach resort, Heritance Ahungalla is also the first hotel in the world to receive the . With the introduction of this Energy Management System, Heritance Ahungalla was able to effectively manage energy consumption without compromising guest comfort. It has enabled the hotel to meet the current and future mandatory energy efficiency targets and requirements of greenhouse gas (GHG) emission reduction legislations and thus given it leverage to emerge as one of Sri Lanka’s most energy efficient hotels. Heritance Ayurveda Maha Gedara was awarded a merit award in the large scale hotel category, making it the second year that the resort received recognition for its sustainable energy efficiency practices. The resort created history by being the first hotel in Sri Lanka to enter a Net Metering Agreement using solar photovoltaic as the renewable energy source. In addition, the hotel also managed to reduce its consumption of furnace oil, with the installation of a solar hot water system which is used to pre-heat the water before it is sent to the heat exchanger which acts as a storage for hot water. This reduces the furnace oil consumed by the boiler. The hotel saves 1,417 liters of furnace oil annually thus mitigating its carbon footprint by 4.6 tonnes. Heritance Ayurveda Maha Gedara also houses a biogas plant which uses kitchen garbage as the primary source for the production of biogas which is utilized in the herbal preparation unit of the up-scale ayurveda resort. The continuous commitment to identify and enhance energy efficiency practices, while demonstrating annual reductions in energy consumption within the chain of resorts has resulted in Heritance Hotels being recognized year on year for its initiatives. In 2011 Heritance Kandalama was awarded the Gold flame award while Heritance Tea Factory won the Silver flame award. Heritance Ayurveda Maha Gedara was recognized for innovative practices to minimize the use of energy and was awarded the Silver flame award in 2012. 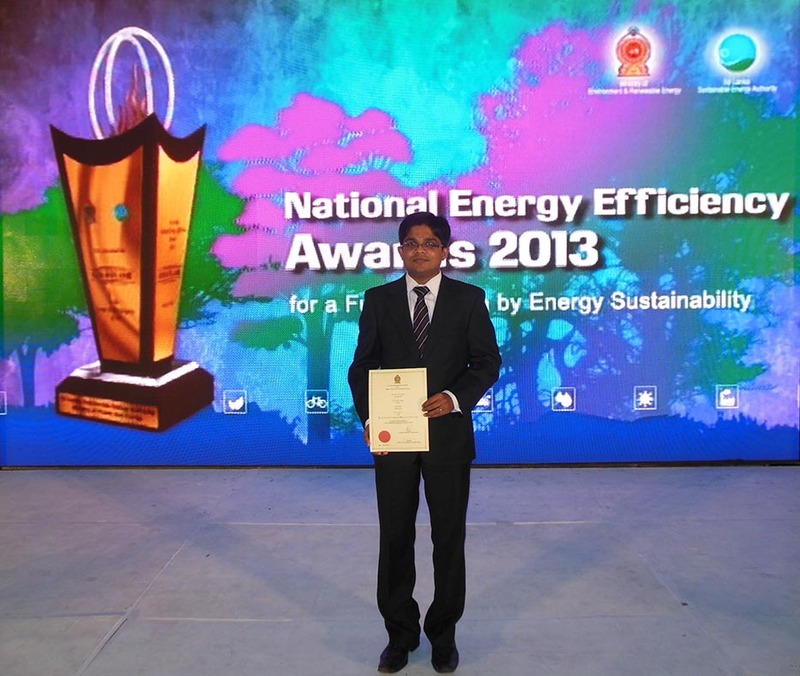 In addition to the awards won by the resorts Mr. Damitha Jayarathne was awarded a Merit award for Most Outstanding Energy Manager 2013. This award was introduced this year with the aim of recognizing the efforts made to improve energy performance, reduce negative environmental impacts through the implementation of energy management plans and through significant improvements made to the quality of the initiatives taken. 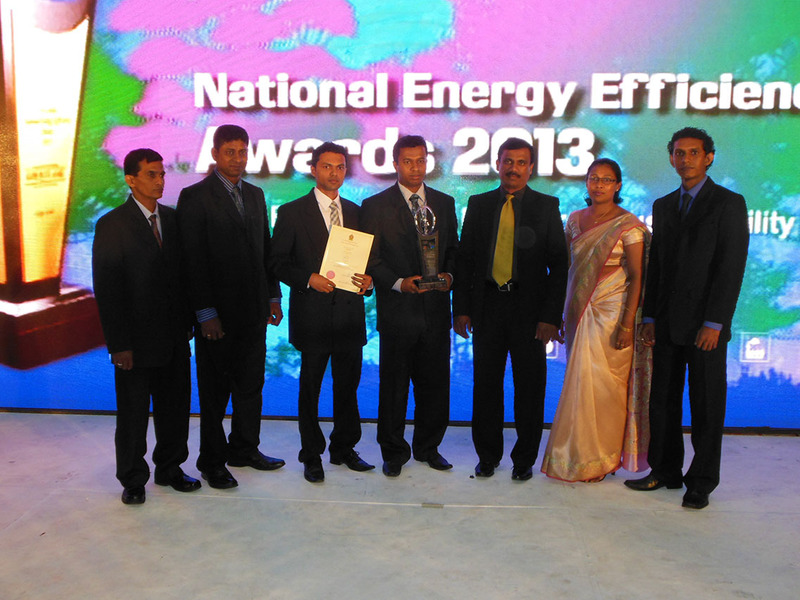 The Sri Lanka National Energy Efficiency Awards is a platform that envisages prompting entities to embrace and enact opportunities to conserve energy and contribute to an energy efficient Sri Lanka. “We are truly honoured to have been recognized for the efforts we have taken towards efficient utilization, conservation and management of energy. From inception to construction, a conscious effort has been made to ensure that sustainable methods are employed. Our hotels operate with a strong, focused commitment towards reducing the environmental footprint associated with the development and operation of a hotel while lending special attention to renewable sources of energy”, said Mr. Rohitha Rajaratne, Vice President, Engineering, Aitken Spence Hotels. Heritance Hotels and Resorts believe passionately in sustainable tourism and have been very active in engaging both guests and communities in promoting these ethics. The chain of resorts have a comprehensive policy that focuses on the conservation of energy through the use of renewable energy. Heritance Hotels and Resorts aim to reduce its dependency on fossil fuels annually through the implementation of innovative energy efficient practices. Aitken Spence is Sri Lanka’s largest resort operator and the largest international hotel operator in the Maldives. The Group also manages a portfolio of hotels in India and Oman. The company’s premier resorts operate under the brand Heritance. 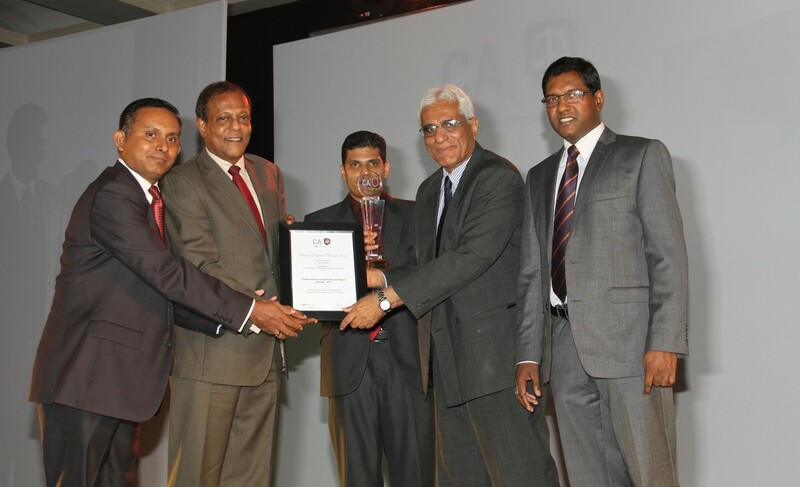 Sri Lanka’s leading resort operator, Aitken Spence Hotels walked away with the Gold Award in the Hospitality Sector category at the recently concluded Institute of Chartered Accountants Annual Report Awards. The much anticipated event with its forty nine year old history was held recently under the distinguished patronage of Speaker of Parliament, Hon. Chamal Rajapaksa as Chief Guest. The annual competition formulated to encourage transparency and accountability in financial reporting in the corporate sector recorded the highest number of registrations this year with a total of 126 entries vying for the coveted awards. This year’s competition revolved around the inspiring theme ‘One Destination – Towards Integrated Reporting’. The Institute of Chartered Accountants Annual Report Awards has been the focal point in inculcating financial reporting discipline in the corporate sector. “We recognize that transparency and good governance play an extremely vital role and it is encouraging to note that due to global trends most companies are working to ensure that these vital areas are addressed. This win highlights the importance Aitken Spence Hotels gives to sustainability, transparency and accountability and provides a clear indication that the company’s ongoing commitment to report on its economic, social and environmental impacts” said Mr. Malin Hapugoda, Managing Director, Aitken Spence Hotels. Aitken Spence Hotels manages a portfolio of hotels and resorts in Sri Lanka, Maldives, India and Oman. The company’s expertise in hotel design, building and management is complimented by its dedication and commitment to excellence. Located in some of the key tourist locations, each of the properties cater to a diverse clientele. 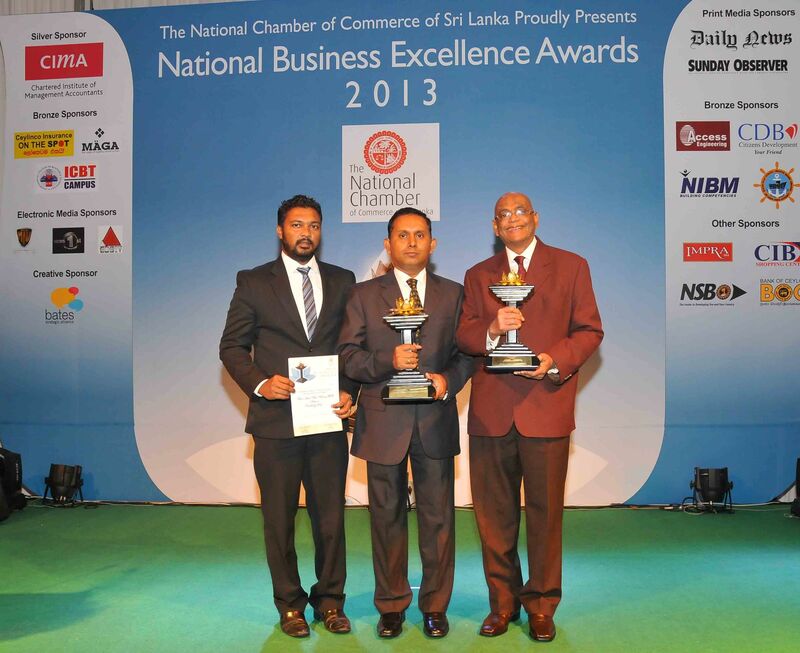 Aitken Spence Hotel Holdings PLC emerged victorious at the National Business Excellence Awards presented by the National Chamber of Commerce of Sri Lanka by being adjudged the winner in the Hospitality Sector. 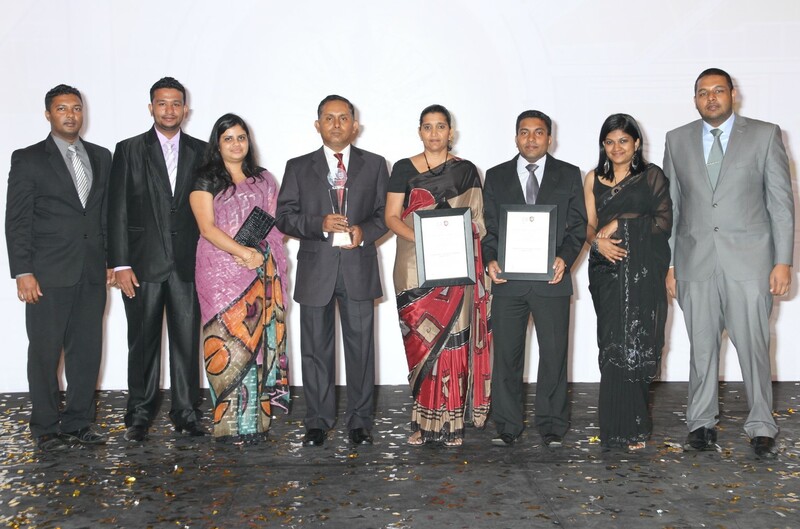 Aitken Spence Hotels, a pioneer in the local tourism industry, who has continually been in the forefront of developing efficient hotel energy management systems also emerged winners in the Excellence in Environmental Sustainability category. Aitken Spence Hotels operates a chain of 25 hotels and resorts in Sri Lanka, Maldives, India and Oman. With many years in the hotels industry, the company’s expertise in hotel design, building and management is complimented by its dedication and commitment to excellence in everything on offer. “We are delighted to be the recipient of this award, it is truly rewarding to be recognized for our continued commitment towards being a responsible business while contributing to the economic progress of the country”, said Mr. Malin Hapugoda, Aitken Spence Hotels. Aitken Spence Hotels has been pioneers in driving sustainable tourism in Sri Lanka. As a measure of further commitment to the cause, Aitken Spence Hotels is participant to the United Nationals Global Compact and undertakes the social obligation towards sustainable business practice. Aitken Spence Hotels align its operation and strategies with ten universally accepted principles in the areas of human rights, labour, environment and anti-corruption. As the leaders in “green” tourism, Aitken Spence Hotels has formulated strategies to ensure the protection of the destination, thus enabling it to retain its natural and cultural appeal over time. Aitken Spence chain boasts of eco-friendly properties, such as Heritance Kandalama, situated in close proximity to two UNESCO world heritage sites and Desert Nights Camp, Al Wasil, Oman, rated as one of the top ten desert retreats in the world. The chain’s Heritance Tea Factory has been voted by the Independent, UK as one of the ‘Top Five Factory Hotels’ in the world and one of the best 100 places to stay in the world. The National Business Excellence Awards is an annual award competition conducted by the National Chamber of Commerce of Sri Lanka (NCCSL) with a view to recognizing business enterprises, which have demonstrated excellence in business, whilst contributing to the economic progress of the country. Applications for the awards were technically evaluated by a team of highly qualified professionals and the final selection was made by an expert Panel of Judges.